Welcome to safebeginnings.com! Your one-stop babyproofing resource. Select your choice of several items for free at checkout click here for details.... Need Help Selecting Products ? Call 800-598-8911 9:00 AM- 4:00 PM Mon-Thurs, 9:00 AM-3:00 PM Friday We actually answer! Sliding Safety Plate for Decora Outlets, 2 pk. Here’s where you’ll find the largest selection of carefully selected babyproofing products for your home. 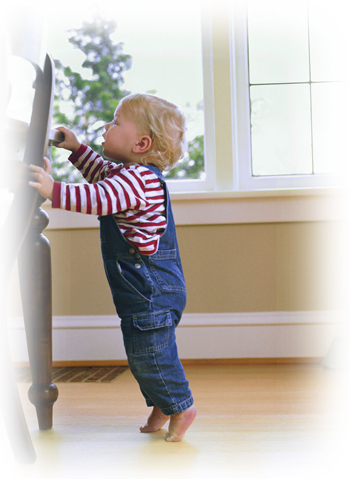 Select baby gates for stairs, doorways and entryways. We offer child safety gates in every size you need, from the narrowest to the widest openings. You’ll also find cabinet child safety latches and locks for every room in your house, from refrigerator locks, oven latches and stove knob covers for your kitchen to child safety locks for bathroom drawers and medicine cabinets, door locks, toilet locks, even appliance locks and latches for TVs, dvd players and stereos and file cabinets. For electrical safety, we feature sliding safety plates and covers for standard and Decora outlets, child-safe nightlights, power strip covers and electrical cord kits. And if installing a gate in your home has you stumped, you can email digital photos to gates@safebeginnings.com.We’ll help solve your installation woes! Of course, we also feature products to keep your entire family safe such as fire escape ladders, carbon monoxide detectors and first aid kits. We also know that prompt delivery is essential. We offer same day shipping!